After setting up Medical Supermarket four years ago, Nick Coleman and Udhi Silva set about trying to grow their business. One thing they knew they needed to do more of was network and discovering Buckinghamshire Business First gave them the chance to do a lot of it, something that would set them on the path to growth. One of the first things Medical Supermarket did was enter the Buckinghamshire Business Awards. “We were lucky enough to win awards in three consecutive years,” says Nick, “first for Innovative Business of the Year in 2013, then for Excellence in Customer Service in 2014, then we topped it off with a double win of Small Business and Business Leader of the Year in 2015. 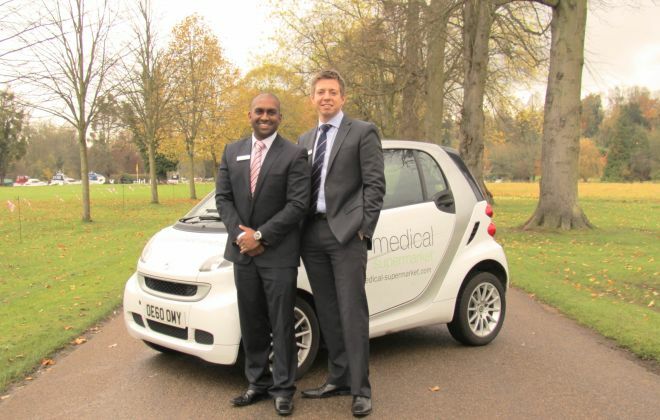 Buckinghamshire Business First also helped Medical Supermarket identify available sources of government funding. "We have just employed the first person to join us as a direct result of a £5,000 grant sourced through Buckinghamshire Business First and we hope to have more to come," says Nick. As Medical Supermarket have discovered, there are many opportunities and a wide range of support available through Buckinghamshire Business First for businesses looking to first gain a foothold and then grow.